In Elmer, we are the moving professionals you can rely on for successful commercial and residential moves. When you move with Optimum Moving, you never have to worry about packing, lifting, unloading, and more. We cover all aspects of your moving project and ensure that your belongings are handled in a safe and secure manner at all times. A positive moving experience is guaranteed! 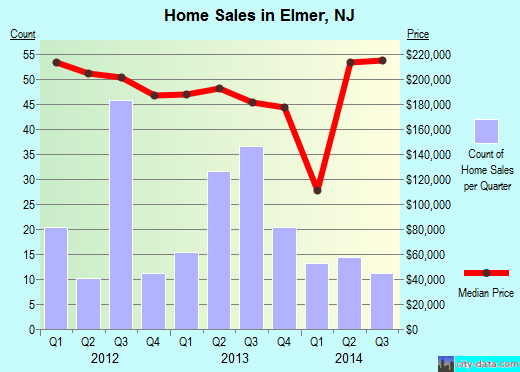 Located in Salem County, NJ, Elmer is a borough named after Lucius Elmer. Also recognized as a dry town, Elmer is home to the annual Appel Farm Arts and Music Festival. The borough was incorporated from portions of Upper Pittsgrove Township, and Pittsgrove Township in 1893. The borough has a total area of nearly 0.9 square miles. In Elmer, the median price of the houses in this city is about $184,317 and a majority of the properties here have at least three bedrooms. Recent research has shown that 68% of Elmer’s 1,369 residents stay in the same house for five years on average. Renters show a pattern of staying in the same residence for up to two years on average, while property owners living in condos and houses live in the same place for an average period of 17 years. The relocation needs of every household or business is unique. That’s something Optimum Moving fully comprehends. Our relocation solutions are not only affordable. We make sure your moving project is executed in accordance to your specific requirements. Whether you need to move a set of cabinets or contents of an entire warehouse, our advanced moving equipment makes the job easier. No matter the scale of the move, you never compromise on the quality of your move. Try our cost-efficient and seamless relocation services for your move in or out of Elmer today! Want to learn more about a Elmer Move? If you've got questions, we've got answers. We'd love to chat about moving you. © 2019 Optimum Moving. All Rights Reserved. © 2015 Optimum Moving. All Rights Reserved.